Episode 2 of our podcast My Sister Doesn’t Watch Dramas is now posted! You can listen directly to it here. It’s also available on iTunes! This week we start from Episode 15 and work backward. It’s been another great week of me trying to explain the Korean drama Man from the Stars to my sister Abbie. She’s sure great at providing commentary for a show that she’s never watched! Take a listen and let us know what you think of our banter. There’s plenty to laugh about in this podcast! Waking up from a coma is something that should be closely monitored. Are Hee Kyung’s doctors practicing some weird form of alternative medicine? Why is amnesia Rachel’s least favorite drama plot line? Abbie’s convinced Min Joon spells girl as GURRRRL 😉 in text messages. Why doesn’t Min Joon just hire a henchman to kill Jae Kyung for him? How awesome would it be if there was a space wedding for Min Joon and Song Yi!? 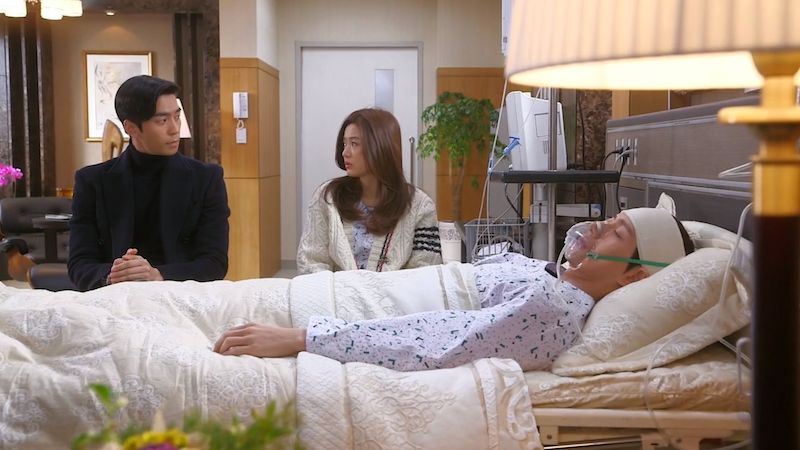 What should Min Joon have said when Song Yi caught him in her hospital room holding her hair? Be sure to listen and share this podcast! P.S. In case you missed it, here is Episode 1 of My Sister Doesn’t Watch Dramas! Thanks for listening! It’s a great show! If you’ve never watched a Korean drama, I’d say this is the perfect one to start with. Hulu even has it under “My Love From Another Star”. I’m glad to see I can get someone interested in the show- my sister still remains unfazed! I like the podcast you have a great dynamic/chemistry, it works very well.